﻿ Daegwalnyeong Beauty House Pension, Pyeongchang-gun | FROM $85 - SAVE ON AGODA! "This is the best thing of here." Have a question for Daegwalnyeong Beauty House Pension? "We are very grateful and happy to have stayed in such a beautiful pension and for encountering such pleasant owners." 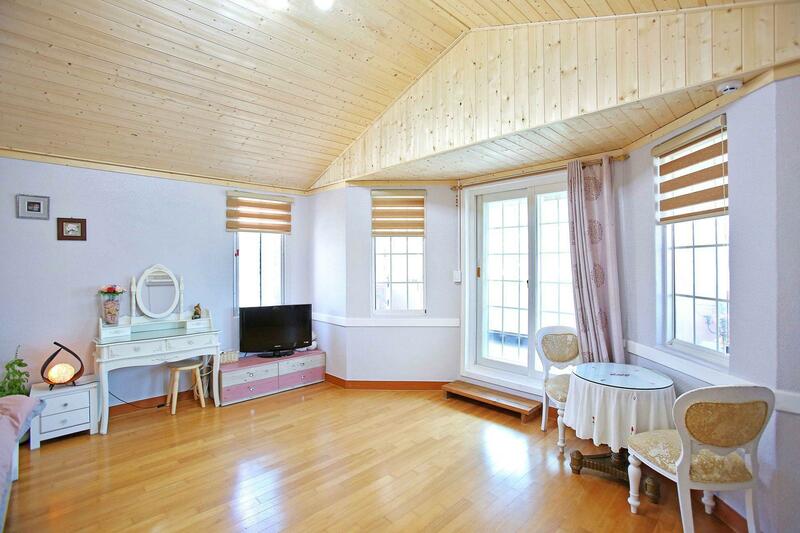 "On our first night, they gave us a big basket filled with lo..."
Daegwalnyeong Beauty House Pension, located in Daegwalnyeong-myeon, Pyeongchang-gun, is a popular choice for travelers. From here, guests can enjoy easy access to all that the lively city has to offer. With the city's main attractions such as Yongpyeong Water Park Island, Ocean 700, Yongpyong Resort within close reach, visitors to the hotel will just love its location. 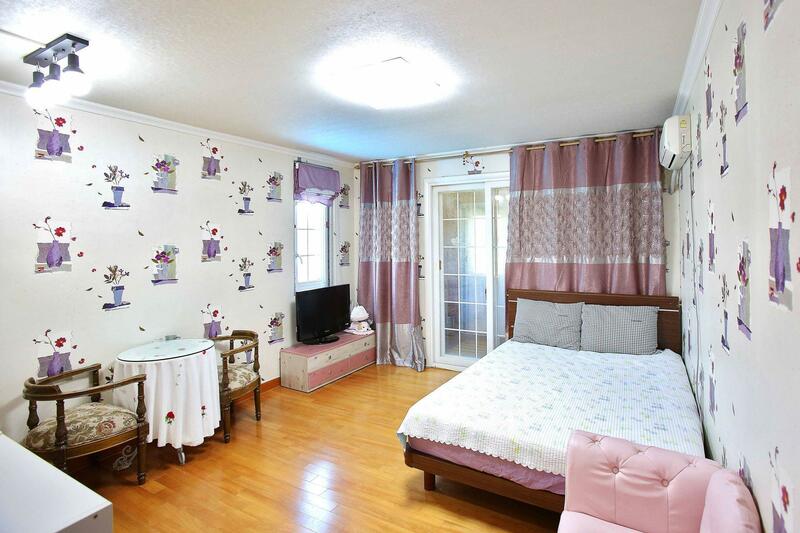 Offering hotel guests superior services and a broad range of amenities, Daegwalnyeong Beauty House Pension is committed to ensuring that your stay is as comfortable as possible. Top features of the hotel include 24-hour front desk, express check-in/check-out, luggage storage, Wi-Fi in public areas, valet parking. The hotel features 10 beautifully appointed guest rooms, many of which include television LCD/plasma screen, air conditioning, desk, television, satellite/cable TV. Whether you're a fitness enthusiast or are just looking for a way to unwind after a hard day, you will be entertained by top-class recreational facilities such as garden. 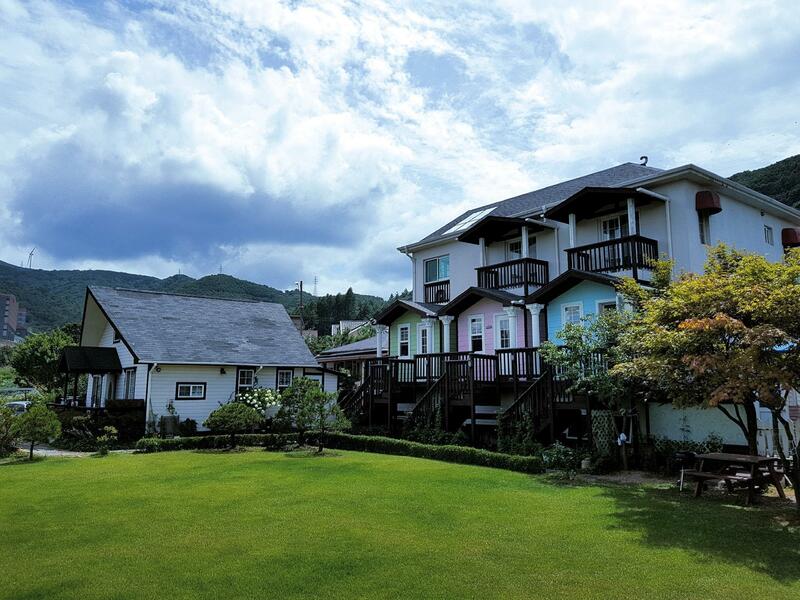 Whatever your reason for visiting Pyeongchang-gun, the Daegwalnyeong Beauty House Pension is the perfect venue for an exhilarating and exciting break away. "The pensions are just a ten-minute walk from the town center..."
The property offers a 50% discount for ski gear rentals. 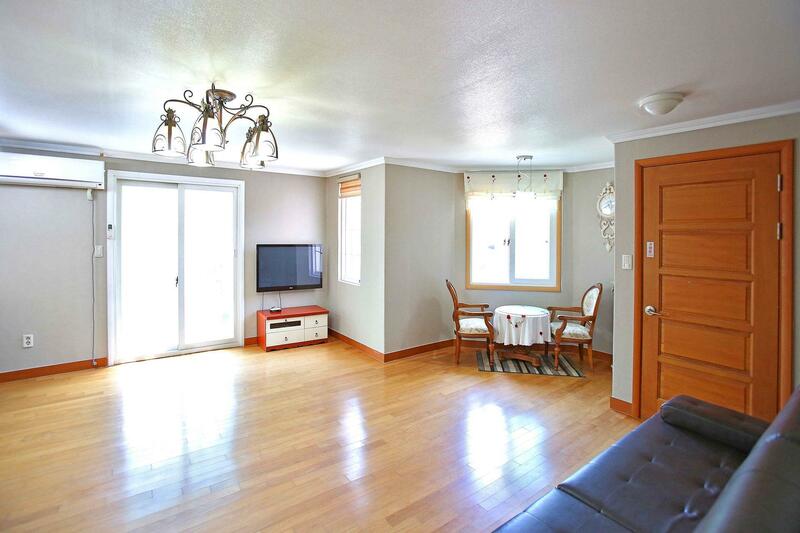 The property provides a drop-off service to Alpensia and Yongpyong Ski Resort. Advance reservation is required. The Korean Manager was helpful but a bit cool,maybe can't speak fluent English. But he was helpful by sending us up to the YongPyong Ski resort and on the day we checkout, he sent us to the purple bus station. Not too bad but the room was a bit old, water heater was really hot, still acceptable. we were there in christmas period and the room rate was high for everywhere... we have saved almost 285,000 won for 3 nights compare with staying in the ski resort. this is the best thing of here. the room was cozy and clean, suits for 4 person. the most difficult part for me is that they can't speak english... when we need to ask them about the shuttle to resort at the 1st day we reached, they made us really confused.. at the end they drove us to the rental shop where people can speak some mandarin and english to arrange with us. the shuttle service was actually not free.. it cost 10k won a day, so they charged us 30k won for 3 days, then the rental shop will pick you up every morning from the pension and also for return. the rental shop is quite good though. overall, i will still recommend people to stay here becoz it could really save some money and the room is not bad. Even though the location is not at the main ski resort area, the host/owner will take her utmost effort to help you out in making transport arrangement and even offered to drive us to Yongpyeong resort on certain occasions. Though she understands limited English, she even used a translation apps on her mobile phone to listen and understand our requests. Kudos to her ! We were provided with beautiful story-book pensions which were very cosy and comfortable to stay in. The pensions are just a ten-minute walk from the town center, which is very convenient. The owners of the houses were very kind and lovely people. On our first night, they gave us a big basket filled with lots of fruit to welcome us and make us feel at home. They also volunteered to drive us to stores and places like the park, skiing resorts and restaurants, which saved us a lot of time and effort to look for transportation. They even suggested good restaurants nearby and drove us there. What really surprised us was that they managed to locate us , while we were on our way back to the pensions, without us telling where and when we will finish our meal at the second night, and drove us back in the end. On the third night, although we didn’t tell them when and where we would have our meal, they took a wild guess and drove around the town center attempting to find us. Though they couldn’t locate , we were surprised and grateful for how kind and caring the owners were. They knew we are tourists and were genuinely concerned for our safety and conveniences. We are very grateful and happy to have stayed in such a beautiful pension and for encountering such pleasant owners. I love the view outside the pension. Its great no matter in day or at night. The boss of the pension is nice. He always drove me to ski rental shop and the bus station. The room is big and warm too. we stayed 4 nights here for skiing . It is our second time to visit YongPyong for skiing but it is our first time to stay Daegwalnyeong Beauty House Pension. The house is beautiful. We walked to town for dinner ourselves and it took about 10-15 minutes on foot . We enjoyed the nice meals at those many small restaurants in the town. The price and quality of food is much better than the restaurants at ski-resort. The price of this pension is good and the room is comfortable for staying of us (4 people). Please ask the help from owner and he would bring you to ski-shop for rental of equipment. The price offered from those ski-shop is much better than the price from ski-resort. Usually the ski-shop would drive you to ski-resort after your rental , and so it is so conventient. We recommend this pension if you want to enjoy 3-5 days here as like us. The host speaks very minimal English so it might be good to bring along someone who knows a little bit of Korean. They are however really nice and will still try to communicate with you to understand your needs. They are pretty flexible with the check out time so you can just communicate with them with your plans for the day (eg. the period which you want to be skiing for). We were inexperienced as it was our first skiing trip and first time in Yong Pyong. The host very kindly drove us to the ski rental shop and arranged for ski rental for us (The rental shop then drove us to and from Yong Pyong) and I believe at a rate cheaper than what we get at the Yong Pyong resort. It is definitely not as convenient as staying in the resort itself as it requires a taxi ride/shuttle bus to get up and down the resort. The owner however very nicely drove us up the resort when we first arrived and on top of that we get a large ondol room completed with a kitchen at a price cheaper than what we would be getting at the resort. He also sent us back to the intercity bus station on the day when we were leaving. To sum things up, it does not compare to Yong Pyong's resort in location and there were some problems with the language barrier but we nevertheless had a great stay thanks to the owner's great service and it's good value for money. We didn't rent a car in Korea this time (which I think we should do next time...) hence we took the shuttle bus directly from the Gimpo airport and only manage to arrive Daegwalnyeong at around 7pm (better check the shuttle bus schedule first, we spent 3 hours waiting for the shutttle...The shuttle bus stopped at the Alpensia Resort, and the staff at Holiday Inn helped us to contact the Pension host and the owner just drove over pick us up very quickly! (that was a bloody cold and windy night, and we were carrying 2 full sets of snowboarding gear and 2 luggages...gosh!). The pension is located on a small hill, but just 10mins walk to the downtown where you can find nice Korean food, grocery shops and gear rental shops. The next morning the host also drove us to the YongPyong Resort for snowboarding (around 15mins drive away from the pension), the next few days we went with the resort's shuttle bus where the bus stop also very close to the pension). The host also came pick us up from the bus stop after our last day of snowboarding (he just waited there without letting us know in advance, so sweet). and send us to the intercity bus station on the day we left. Never been staying at a pension with such a nice host before! If they could offer breakfast at a cost the pension is perfect for budget stay. this pension is indeed very secluded. similar to the picture in the website minus all the facilities. no food at all. you have to cook on your own. can buy basic items to cook at one mini supermarket which also served as the reception. mindful receptionist cant speak english at all. it is best to stay for relaxation. can only be reached by taxi. no bus will go there. Clean , clozy , and nice owner, they can provide us the wine glasses . However, Only very simple kitchenware is provided. Staff is not very good in english but try to help without asking to,,they're very kind.The room is clean,cozy and comfortable.It is located near yongpyeong ski resort and samyang ranch but taxi or private car is necessary,no public transportation. Excellent staff service n very helpful, highly recommend for skiing stay hotel. Big apartments . alternative to YP resort, 10 mins by taxi from ski field. Pension is equip as a self service open plan apartment. simple internal decor and underfloor heating. owner can arrange ski hire and transport from local rental shop (recommended). no restaurant nearby thought. the hotel is located on the small mountain in a town near to the skiing resort. 10 mins by car distance from the skiing place. very convenient place with nice pension keepers. It is a nice pension which located on a small hill with good weather and so calm. It has a kitchen ware that let you can cook your own meal.